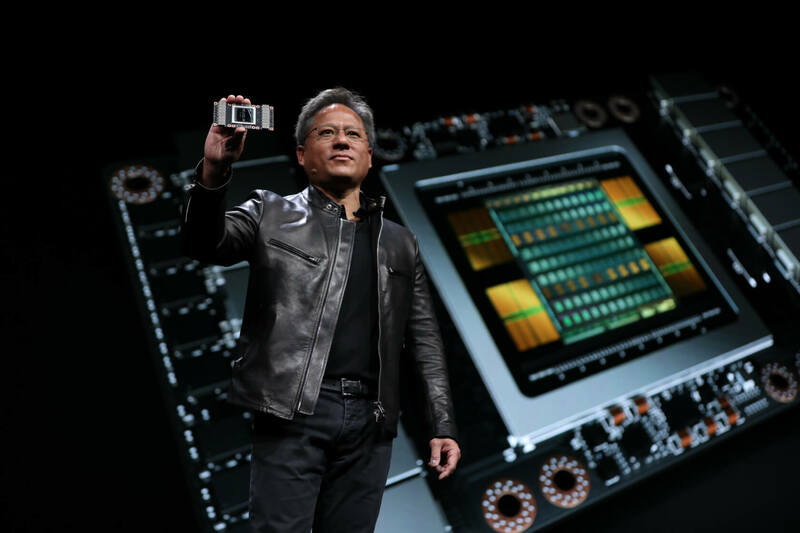 Earlier this year, at the GPU Technology Conference, Nvidia unveiled the Tesla V100, a GPU built on its seventh-generation Volta architecture. It's the most powerful graphics processor the company has ever produced capable of 7.5 TFLOP/s of double precision floating-point (FP64) and 15 TFLOP/s of single precision (FP32) performance. Currently, the Tesla V100 is being used in supercomputers and companies working in AI, but gamers have been wondering when they will start seeing Volta gaming GPUs. Some have been speculating that we’d start seeing the first Volta cards coming out later this year. However, Nvidia CEO Jensen Huang quashed these rumors during an earnings call last week saying that Volta will not be replacing Pascal in gaming anytime soon. Nvidia is not in a big rush to replace cards with the Pascal architecture. The GeForce GTX line is selling strong, and the 1080 Ti is still considered a monster for graphical performance. Prematurely releasing Volta cards would cut into profits and diminish the life cycle of current generation cards. There is a balance that has to be maintained between offering the customers what they want and can afford while maximizing the profits from current products. Furthermore, the primary reason that Nvidia is not ready to offer Volta gaming cards is that they are currently too expensive to manufacture. Volta GPUs cost close to $1000 to produce. “The price of Volta is driven by the fact that, of course, the manufacturing cost is quite extraordinary,” said Huang. "These are expensive things to go and design." Even after a marginal markup, the cards would only be affordable to a small percentage of the market. It simply wouldn't be profitable to mass produce a consumer grade model. The current generation of GPUs is a cash cow for the company. The GTX 1080 Ti is still bringing in $700+ a pop and the GTX 1080 is selling for $500+. There is no reason for Nvidia to try to compete with itself. Maybe after a price drop or two, we might start hearing rumors of a gaming Volta release.